Thanks to Pressman Toys for helping sponsor this giveaway. Growing up, as I am sure many of you too, I remember in school playing the Oregon Trail game. Anxious when it would be my turn and I could see if I could get my group all the way across to make a new life. It’s exciting to me that so many new Oregon Trail games are coming out. 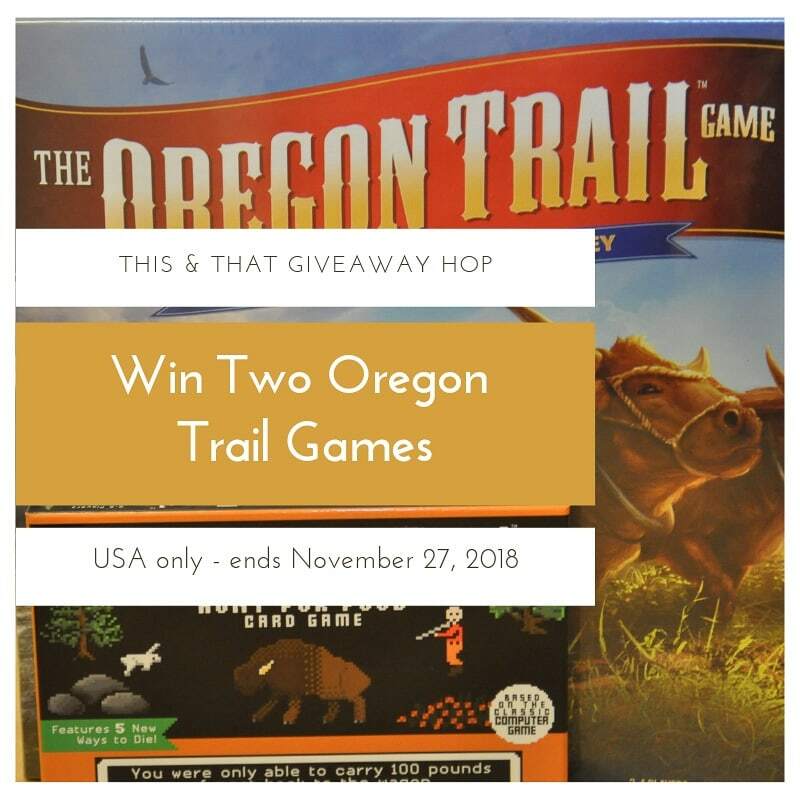 Which is why I am thrilled to be offering you two Oregon trail games by Pressman Toys to win in the This & That Giveaway Hop. The two Oregon Trail games I am going to be able to offer you today are great ones. One we’ve played and one we haven’t had the pleasure to play just yet but will soon! So keep your eyes on the blog & my social media channels to see us playing the second one. This is the one we’ve played thus far and really enjoyed it. We think it will likely be a lot more fun than just with two but it worked with just two of us. Beware as you embark on this treacherous journey! In “The Oregon Trail: Hunt for Food Card Game,” you must work together with your fellow travelers to collect 600lbs of meat. However, you will face many deadly threats during your hunt: you might get bitten by a snake, break your leg, or get trapped by obstacles and never make it back to the trail. Luckily, if you have our original “The Oregon Trail Card Game,” you can play this game as an extension or on its own. This add-on feature will allow you to carry your food and supplies to the original game. However, if you die in this game, both games are over. We haven’t had the pleasure to play this one yet, but both my husband and I are itching to get it played. It’s 1844: You and your family have joined a wagon train in Independence, MO that is about to head to Willamette Valley to find your fortune in the West! Players will place tiles to discover the trails, rivers, forts, and towns ahead of them that they will move through to this new land. This scenic journey would almost be perfect… if it wasn’t for the disease, drowning, rattlesnakes and other hazards that will plague you along the way. You’ll need to hunt for food to avoid starvation and with limited wagon space, you may need to choose between supplies and family members to keep moving along the trail. Until, eventually, you find yourself safe, in Willamette Valley. Now you know what games you are entering to win for, just follow the Gleam platform below and enter today. USA only, the winner will have 48 hours from the time I email them as the winner otherwise I will be forced to pick a new winner. Enter daily and entries may change over the course of the giveaway. Good luck and have fun! 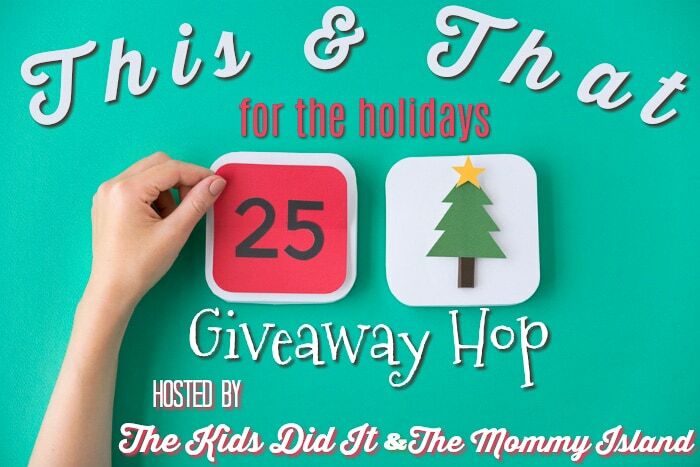 Now that you have entered my giveaway for this hop, it’s time to enter some more. 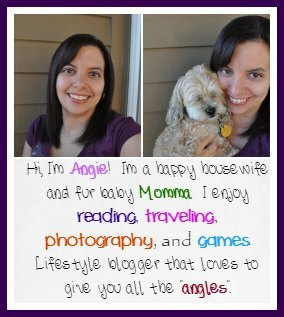 Check out all the bloggers you have the chance to win some goodies with. Never know what you’ll find. The exciting thing is that all the prizes are worth at least $50!! What Makes Battle Ground Lake State Park Unique and Popular?